Funeral services for Mrs. Joyce Ann House Draper will be 11:00 A.M. Monday, August 14, 2017, at Ligon & Bobo Funeral Home with Bro. James Corley and Larry Odum officiating. Interment will follow at Forest Lawn Memorial Gardens. Visitation Sunday 2-8 PM and Monday after 9 AM at Ligon & Bobo. Mrs. Draper, age 83 of Lebanon passed away Friday, August 11, 2017, at her home. Born February 6, 1934, in Old Hickory, she is the daughter of the late Arnold and Hattie Belle Manners House Sr. She owned and operated Henderson’s Flower Shop for thirty years. She was a member of Webbs Chapel Baptist Church and the Lebanon BPW. She loved fishing and spent a lot of time on Kentucky Lake with friends at Birdsong Marina in Camden, TN. 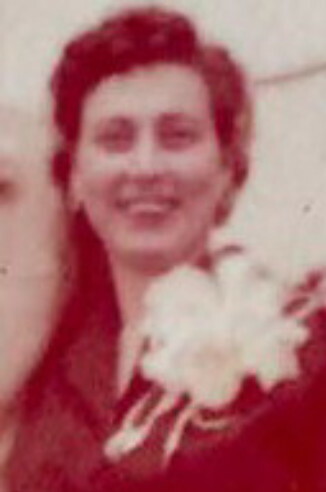 In addition to her parents, she was preceded in death by her husband of fifty four years, Louis J. Draper; brother, Arnold House Jr.; and great grandchild, Baylee Rae Dunnam. She is survived by two children: Jimmy Draper and Donna (Larry) Odum; grandchildren: Kelly (Steven) Reece, Amanda (Rodney) Dunnam, Kyle Draper, Karlie Odum, and Kerry (Brian) Reed; great grandchildren: Lily & Hattie Reece, Haven & Raynor Dunnam, Logan, Mason & Carson Reed; niece & nephews, Terrell House, Carol (Leslie) Pruitte, Clayton (Selena) House; Sisters in law, Reba Draper, Shelba Gregory & Glenda Draper; brother in law, Max Draper; many cousins. Honorary pallbearers: Past member of Lebanon BPW and friends of Birdsong Marina. So very sorry for your loss. Joyce was a wonderful person. My thoughts and prayers are with you all..
Louis and Joyce were friends and neighbors! I missed him and now I miss her too. Praying HIS comfort for all of you! Sorry for your loss. Joyce was a wonderful person and a good neighbor to our family. Just remember that no one can take away your memories!